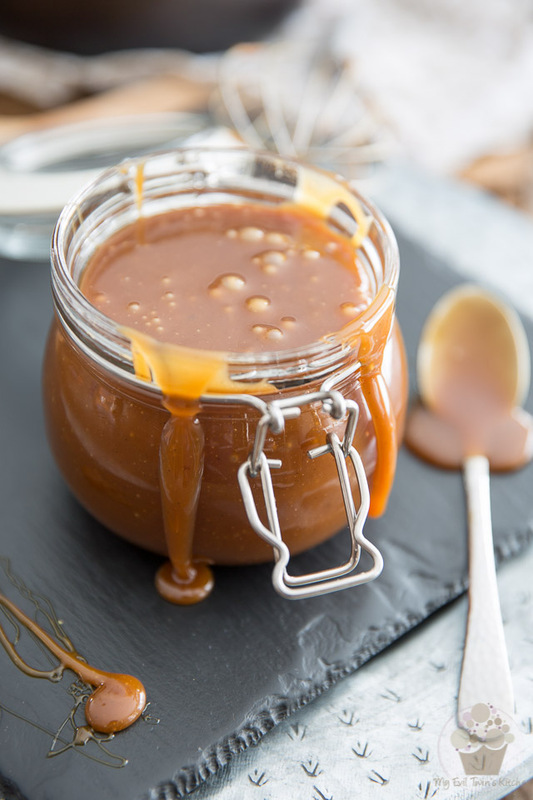 Simply put, this Salted Maple Caramel is totally heavenly – it’s just like spoonable maple fudge! So delicious, you’ll want to bathe in it! As you may have noticed, I’ve been on a crazy maple kick these past few weeks… For some reason, the Holidays always seem to have that effect on me. Funny thing is we’re nowhere near our official “maple season” yet. That usually starts at the end of March around here, when the temperatures remain above freezing during the day and then drop below zero at night for several days in a row, which causes the precious sap to begin to flow out of the maple trees. But me, it’s always around Christmas that I crave this delicious syrup that I like to refer to as liquid gold. In the past week alone, I must have used about a gallon of it, between all the different treats that I made. Mind you, my 3 batches of Pure Maple Fudge alone ate up quite a good chunk of that… Then I also made some Candied Maple Cashews but sadly, didn’t log that recipe. I’ll have to make a note to do that next time I whip up a batch! 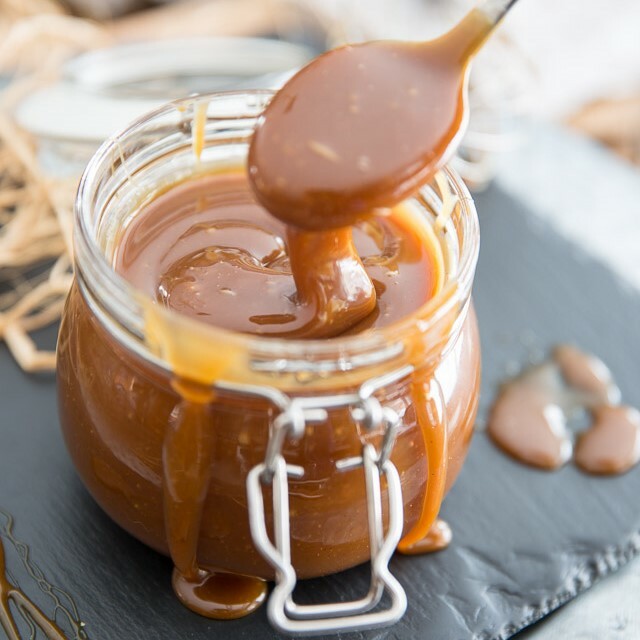 And then I sort of started getting visions of maple caramel sauce in my mind… The images were so vivid, there was no stopping the process, I had to make it happen. Why I’d never thought of that before now is beyond me. Simply put, this Salted Maple Caramel is nothing short of heavenly – it’s just like maple fudge, only it’s in a spoonable format! 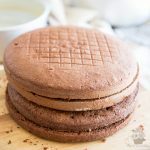 It’s so insanely delicious, you’ll probably want to bathe in it! 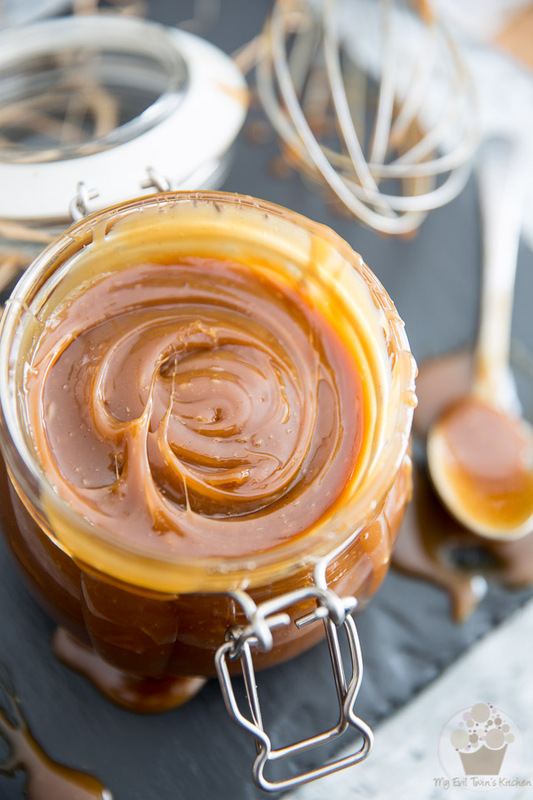 Okay, I might be pushing it a bit, but seriously, this stuff is so good, you’re definitely gonna want to drizzle or spread some over just about everything and anything. Think pancakes, waffles, ice cream, cup cakes, pound cakes, muffins, toasts, granola cereal… or forget about all of that and just plain eat it by the spoonful! You might want to get a head start and whip up a batch right now — I get the feeling you’re gonna want to make next week’s recipe! 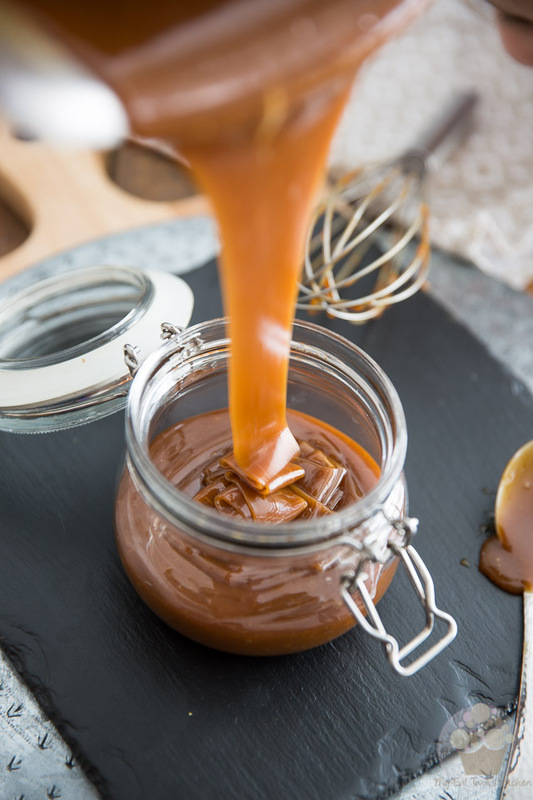 In a 4 quart sauce pan, bring the maple syrup to a boil over medium heat; let the syrup boil without stirring until it reaches 250°F on a candy thermometer, about 10 minutes. Again, just as was the case with the Maple Fudge, it is really important that you get the syrup to the exact right temperature so you’ll absolutely need to use a good, reliable candy thermometer. Also, you’ll want to make certain that your thermometer does not come in contact with the bottom of the saucepan, as this could falsify your readings. 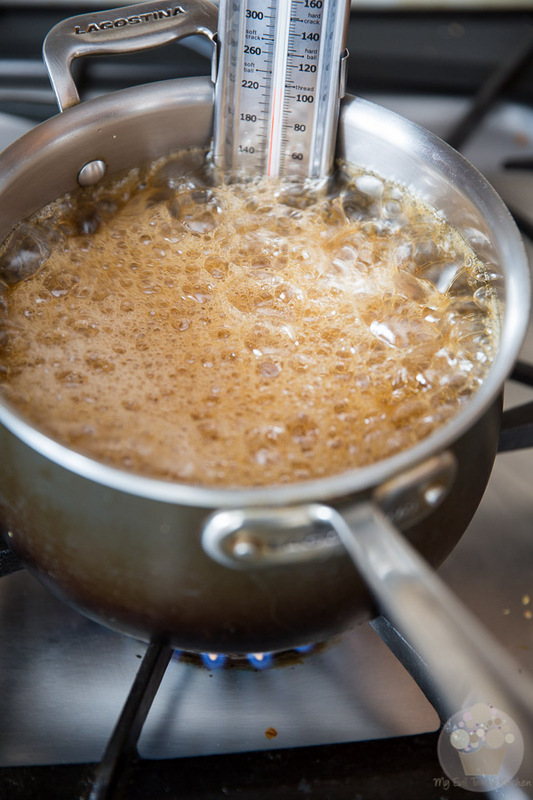 As you can see, the syrup will rise quite dramatically as it boils, so you’ll definitely want to keep a close eye on things to make sure it doesn’t boil over. 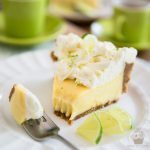 While your syrup is slowly rising in temperature, combine some heavy cream, corn syrup, butter, salt, cream of tartar and seeds from one vanilla bean in a small saucepan set over medium heat. Bring this to a slow simmer, stirring once or twice, then kill the heat as soon as the mixture starts to simmer and set aside. I like to also drop the empty vanilla pods right into the saucepan with the rest of the ingredients, as it contributes to adding even more of the delicious vanilla fragrance to the caramel. I then fish them out later once the caramel is all finished and completely cooled. 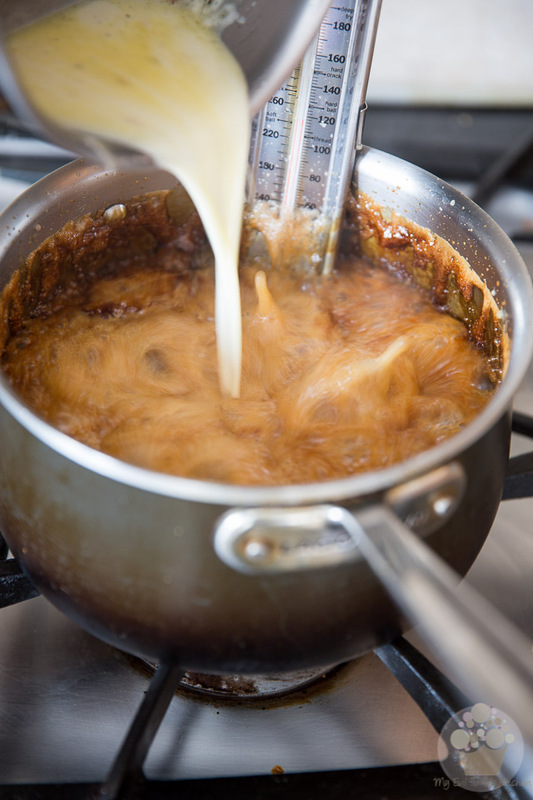 As soon as the maple syrup reaches 250°F, remove the pan from the heat source and very slowly pour in the warm cream mixture. As you can see in the above picture, the syrup will bubble up quite violently when you add the cream to it so proceed with great care. Stir delicately until the boiling completely subsides and the caramel settles calmly at the bottom of the pan. 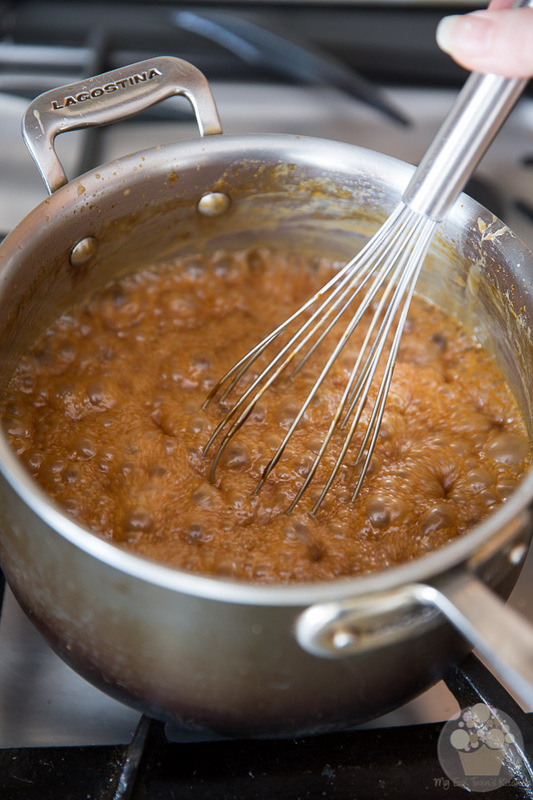 Finally, place the caramel back over medium heat and bring it back to a simmer. Continue cooking it for 1 full minute, stirring constantly, and then kill the heat. That’s it, you’re all done. All that’s left to do now is leave your caramel alone until it’s completely cool and has thickened to a nice sticky, gooey consistency – about 2 to 3 hours. If you chose to drop the empty vanilla pods in the cream mixture, fish then out of the pot (don’t forget to lick them clean!) and then transfer your caramel to an airtight container. Store in a cool dry place or in the refrigerator for up to a a few weeks. 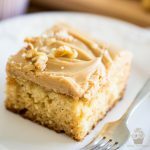 Note that you may have to slightly reheat the caramel to bring it back to its deliciously sticky and pourable consistency. 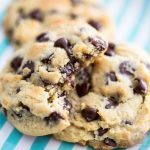 Just a few seconds in the microwave will do the trick! As in really, just a few seconds. 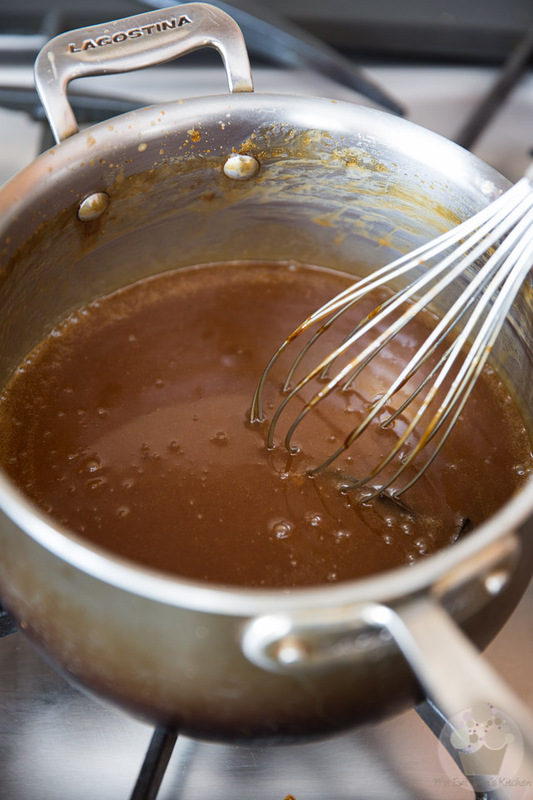 Don’t do more than 5 to 10 seconds at a time, else your caramel will get too hot and will become kinda runny. Also, this caramel sauce has a tendency to form tiny little sugar crystals as it sets, but fear not: it doesn’t take anything away from its spectacular nature! In fact, the tiny sugar crystals make you feel like you’re in fact eating fudge with a spoon! I don’t know about you, but I would NEVER say no to that! 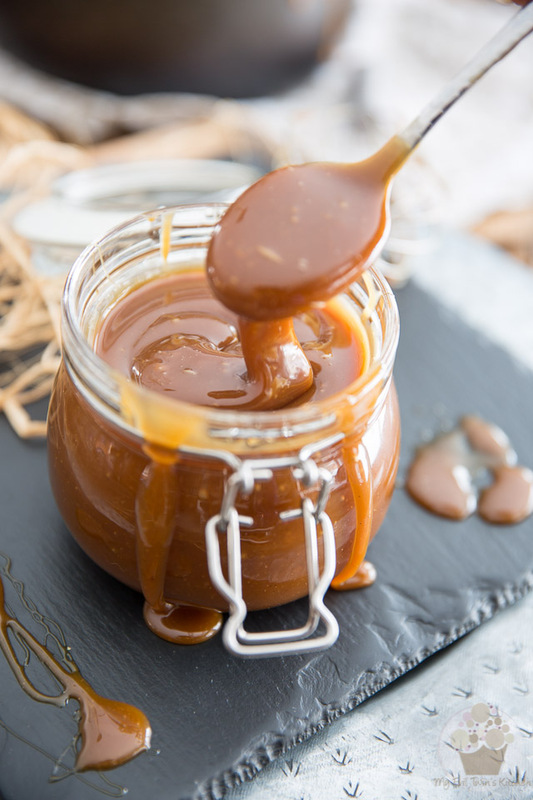 In a 4 quart sauce pan, bring the maple syrup to a boil over medium heat; let the syrup boil without stirring until it reaches 250°F on a candy thermometer, about 10 minutes. Make sure to keep a very close eye on things as the syrup will rise quite dramatically as it boils. Meanwhile, in a small saucepan set over medium heat, combine the heavy cream, corn syrup, butter, salt, cream of tartar and seeds from one vanilla bean (you can also drop the empty vanilla pods right in and fish them out later. 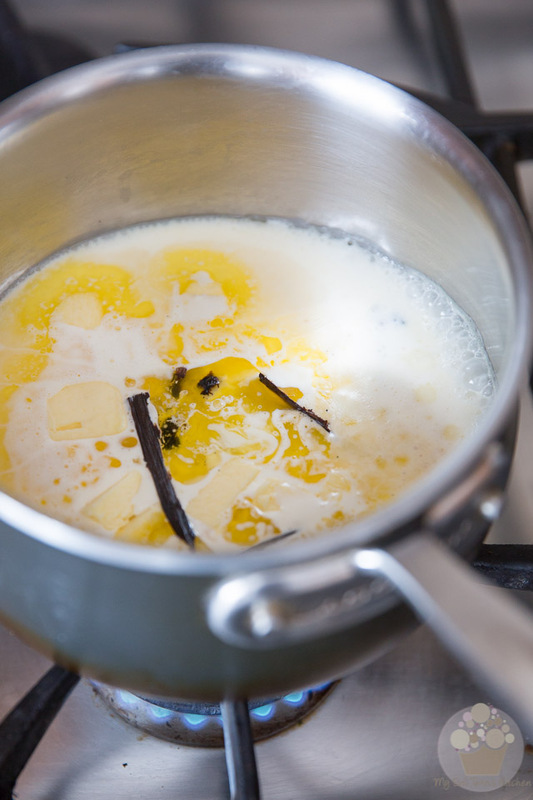 this will contribute to adding even more of the delicious vanilla fragrance) and bring to a slow simmer, stirring once or twice; kill the heat as soon as the mixture starts to simmer and set aside. 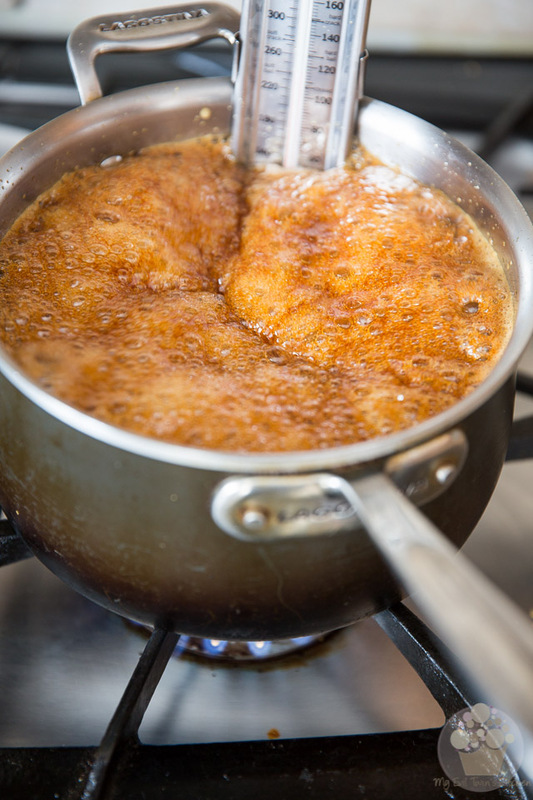 As soon as the syrup reaches 250°F, remove the pan from the heat and very slowly pour in the warm cream mixture. Note that the syrup will bubble up quite violently when you add the cream so proceed with great care. Stir delicately until the syrup completely stops boiling and settles at the bottom of the pan, then place the caramel back over medium heat and bring it back to a simmer. Continue cooking for 1 full minute, stirring constantly, then turn off the heat and set aside to cool completely, about 2 to 3 hours. Remove the empty vanilla pods (if present) and transfer your caramel to an airtight container. 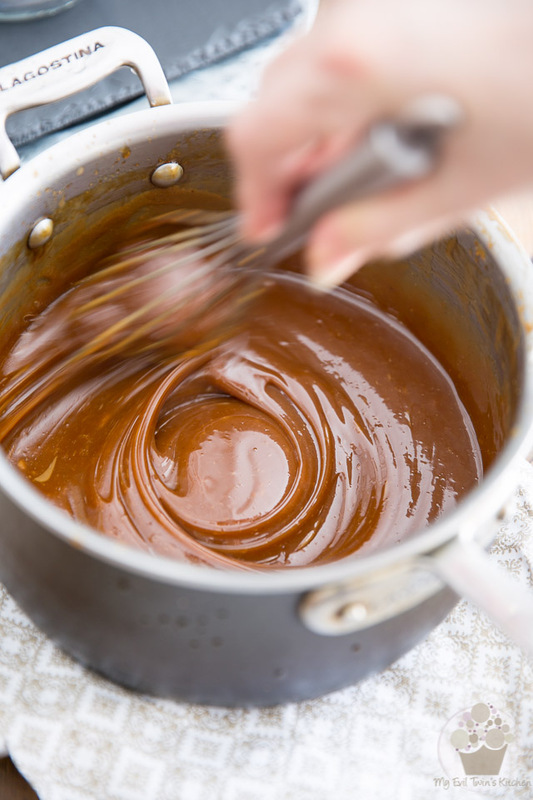 You may have to slightly reheat the caramel to bring it back to its pourable consistency. Just a few seconds in the microwave will do the trick. As in really. Don't do more than 5 to 10 seconds at a time. Also, this caramel also has a tendency to form tiny little sugar crystals as it sits, but it doesn't taste any less spectacular. hI! Can you also please tell me how I can use this? I am fortunate Indian whose sister got a stunning jar of maple caramel from Canada and its been sitting in the back of the fridge because I dont know what to eat it with. Hi!! Is the corn syrup compulsory? Or crucial to the recipe? Is there a substitute for it? The corn syrup will prevent crystallization of the sugar and is pretty mandatory indeed. You could use glucose instead, if that was easier for you. Did you use the pure maple syrup? I used pure maple syrup, followed the directions exctly using 2 thermometers to make sure of temp and it is extremely runny. Will lit thicken? That’s expensive syrup to waste! !